Whether you are a fan of the cool Pacific Northwest weather or you want to take advantage of a new job opportunity, moving from NJ to Seattle is an exciting time in anyone’s life. The moving process is always made simpler with a professional moving company on your side, and Simonik Moving & Storage has been the BBB-accredited moving provider of choice since 1977. 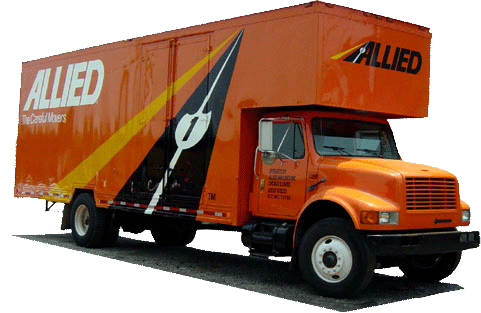 As an award-winning agent for Allied Van Lines, our expert team is proud to be part of a nationwide network of moving and storage professionals that can easily coordinate any size household move throughout the United States. Regardless of the size of your household, a qualified moving company should be able to efficiently manage all the details when moving to Seattle from New Jersey. Simonik starts off each of our moving projects by coming to your home to provide you with a free, accurate estimate of your relocation costs. From start to finish, a personal Relocation Coordinator to be with you every step of the way, and they will work with you to simplify the moving process and answer any questions that may arise. Sometimes you need a little more time before your belongings arrive after completing a move from New Jersey to Seattle, and Simonik has the flexible storage options you can trust. With customizable short and long term plans, we guarantee that your items will be kept safe by carefully packing them in long-distance shipment containers and storing them for as long as needed. Simonik leads the industry with professionalism and quality, and we’re proud to be a past winner of the “Mover of the Year” award from the New Jersey Warehousemen & Movers Association. Our expansive service area is designed to help area residents with all of their moving needs, and we serve North and Central Jersey, including Hunterdon, Mercer, Middlesex, Monmouth, Morris and Somerset counties. Simonik is also a long-term member of the American Moving & Storage Association with ProMover status, which means that you can count on us to be fully updated to any special requirements necessary for completing your move from NJ to Seattle. Take the stress out of your NJ to Seattle moving process by contacting the experts at Simonik Moving & Storage today! Just give us a call or fill out our online form to connect with one of our friendly movers, and we’d be happy to get you set up with a free, no-obligation estimate.